Well said dan. Loads of potential in the public sector for new things. I don’t think we’ve scratched the surface of the subject yet. Really excited about Pinterest & future of content marketing. Be nice if those in public sector comms better valued the efforts that citizens make to keep each other informed at times like this. This morning Birmingham City Council’s disruption website fell over. Their twitter feed was useful but it paled in comparison to the work done by Sas and Marty Taylor at the B31 Voices Hyperlocal website. In between getting their own kids ready for school they were running a full-on information service reporting on school closures for most of south Birmingham and have spent much of the day reporting on transport issues. I did a little over at Bournville News but it was largely their stuff I retweeted. But it’s more than just hyperlocals who do this. I (the Bournville site that is) was getting updates from parents as they heard from their school. They were no doubt using social media to keep each other informed as well. Local gov twitter accounts play a part in keeping us updated but it’s as nothing compared to how citizens use their networks as a knowledge resource. And as my earlier example points out, some particularly active citizens, Hyperlocals, often do this stuff better than council comms teams do. It would be nice therefore to read a blog post saying ‘didn’t they, our community, do well’ rather than ‘didn’t we do well’. Thanks for stopping by. I fondly remember that innacurate post you wrote about Facebook stats where you assumed I’d said something and still didn’t buy it when I and then a member of the audience gently broke it to you you’d got totally the wrong end of the stick. Any road up. To press onto your latest post here ‘Hyperlocals 1 Local Councils 0’ in which you say‘I wish local government communications people would stop self-aggrandising and give credit to their citizens instead’ which links to a blogpost about the good work done by Twitter Gritter. To state the blooming obvious a blog about local government comms is going to focus squarely on local government comms. It’s not self-aggrandising to point at something on a blog and say it works well. The Twitter Gritter initiatives do a really good job put together as they are often out-of-hours by staff who really believe in the job they are doing. Someone asked me on Twitter if there was a role for this ‘extravagant’ PR activity. The answer is that it’s extravagantly affordable saving as it does scores of telephone calls from irate residents on the return of updates to the website and social media. I didn’t know it had been referenced by West Midlands Innovation. Thanks for flagging it. But that wasn’t the aim. The success of any communication depends on it being read, shared, talked about and discussed. My focus as a local government press officer is how councils can get the information out in a timely and effective way so that they can be read, shared, talked about and discussed by a whole range of people. Hyperlocal blog sites included. But without the information first coming out from local government in the first place – either from a school or centrally – there wouldn’t be much to talk about. Or rather there would. It would be people asking what the heck was going on and why the heck weren’t they being told about it by the school website, council website, Twitter stream or Facebook stream. When we don’t tell people what’s going online believe me, that’s what happens. On a wider point, I’ve really noticed this year that in my own corner of the universe in Walsall a hyperlocal blogger Brownhills Bob doing a rather fine job in rumour-busting with people who think that the roads should behave just as they should on a summers day in snow and if they don’t it’s the council’s fault. The fact that he’s often a critic of what the council does should be noted. Other Walsall bloggers and residents retweeted or shared @walsallcouncil updates or shared their own pictures or updates. That’s all part of the mix. By the looks of things B31 Voices did a great job of their own in sharing the messages that were coming out from schools and the rest of the community. That’s just it. It’s getting quick messages out and sharing them. But to turn this into ‘Hyperlocals 1 Local Councils 0’ makes you look just a bit petty, to be honest, Dave. I wonder if my local authority would take a lead from this, I might suggest it… love it. Thanks for sharing. Twitter gritter is sorted? 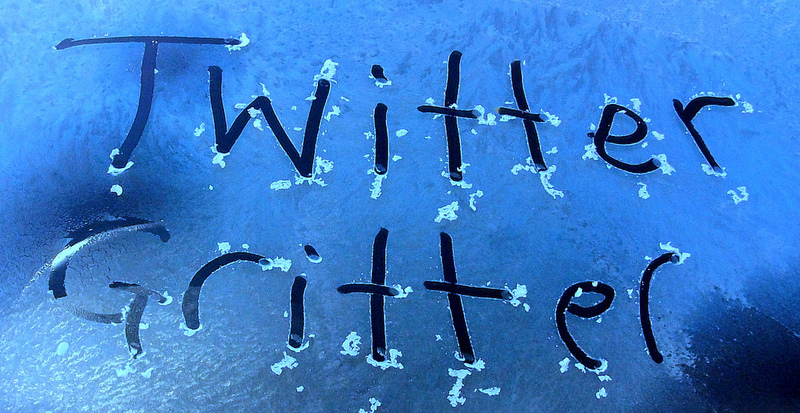 Twitter gritter might be but Twitter ain’t all that. And telling people that gritters have been out ain’t all that either tbh. The majority of a council’s populace aren’t Twitter users (I’m guessing, but think I’m right) and the majority of a council’s populace (I’m very sure of this) think grit (salt) is magic and so don’t believe gritters have been out if their road isn’t miraculously clear within minutes of snow falling. We can tell them until we’re blue in the face that the gritters have been out and they won’t buy it. #Lesson – Payment of council tax gives open membership to the armchair experts club. Those of us who work in local gov largely do it because we’re caring sorts. As a colleague said to me recently “if I haven’t been called a wanker by 11am it’s a slow day”. In our own little corners of local gov, we do our good things and feel like we’ve done a good job. Who believes us? We’re told we should show and tell. And so we tell via Twitter Gritter and other initiatives. #Lesson – residents think we the workers, the politicians and the Council en masse are crap and they don’t believe the stuff we spout out. I don’t mean this to be in any way unsupportive of Twitter Gritter, indeed I’ve loved seeing how #wmgrit has been used by councils that aren’t even in the West Midlands! I just think there should be a moment to stock-take on how useful it is and to see how it can move forward. I do think our residents could really come on-board here. #Lesson – the bloke in the pub I met tonight ‘knows’ what he’s talking about. Council workers don’t have credibility. It doesn’t matter a toss that I have two relevant university qualifications. That gobby guy down the pub knows it all apparently. There’s really no use in wringing our hands over why people don’t trust in council workers or have belief in them. If what they believe in is the gobby bloke down the local boozer, then maybe we should look to make sure Mr Gobby is better informed and let him do the job for us. Dan and Dave both mentioned citizen engagement. In Walsall, I think the Council, via Dan and others, can be very proud. Dan mentioned Brownhills Bob, who promotes council activities and slates the council when he feels its fouled up. There’s also the Bloxwich Telegraph and Common People. These are just a few examples of hyperlocal bloggers who are on the Council’s press release list and proactively work with the council, police and other public agencies when the need is there. There are actually dozens more in Walsall and they’re all part of the overall picture. And yes Dave, these local sites have all been as busy as hell pushing local info out over the last few days. It’s great to see tbh. Oh and if you keep an eye on the Walsall Council twitter feed, you’ll see that the RTs between those mentioned, and others, is reciprocal. Oh sorry, I went right off tangent. What I meant to say is ‘how are we going to communicate with those not on Twitter’? A second question could be ‘how do we communicate with those not on-line?’. You’re absolutely right that Twitter isn’t the last word and that telling people we’ve gritted isn’t either. It’s one channel of many. But don’t tell people you’ve gritted and you get a stream of phone calls. Besides, it’s just a worthwhile thing to do to remind people what their council tax gets spent on. Dan Carins – on Twitter – made a fascinating comment. He used to live in a city in Japan that was under snow rather a lot of the time. In fact, there was so much snow 40 per cent of the council budget was spent on clearing the stuff. It was common in the thaw to find benches that had buckled under the weight of it. That’s a bit wow. You are quite right to talk about the messages being shared from the council, bloggers and residents in Walsall. On Dave’s needlessly point scoring blog I’ve highlighted Brownhills Bob for taking to task those who think that perhaps grit is fairy dust that should allow you to drive with the same handling as a summer’s day as you have here. You ask two brilliant questions in how to communicate with those not on Twitter… and offline. Part of the bringing things off Twitter is to have a CoveritLive pulling things off Twitter and onto a webpage. Helen from the webteam’s winter blog also does that and 5,000 users in a day – I think I’m right, Helen? – shows the real worth of this. The question of communicating with those offline is harder. Perhaps there’s mileage in looking for inspiration elsewhere. Sandwell Council’s snow champions is brilliant. It sees volunteers given grit and spread it on problem hills outside their houses or outside the homes of vulnerable people. I don’t know if they do it but it would seem like common sense to sign up those champions to e-mail alerts – and open these alerts to the wider residents – to give some relevant information out. Something in other words that copies a neighbourhood watch info dissemination thing. It would be great to plug into the networks that are already there whether they be residents groups, neighbours, school communities or the like. That’s one idea to cross the digital divide but I get the feeling there are plenty more to be had and plenty better ones to.